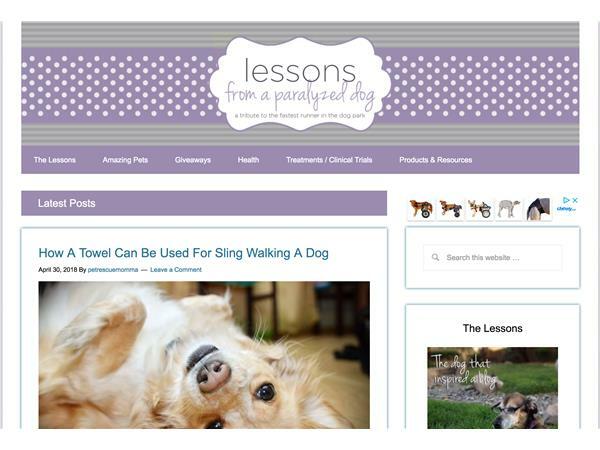 Sharon Seltzer is founder of the Lessons From A Paralyzed Dog website, which launched in November 2013. This is a community for pet owners who are caring for a handicapped, paraplegic or other special needs dog, cat or other pet. Sharon provides tips, support, news and where to find products for the daily care of pets with paralysis and other neurological conditions. 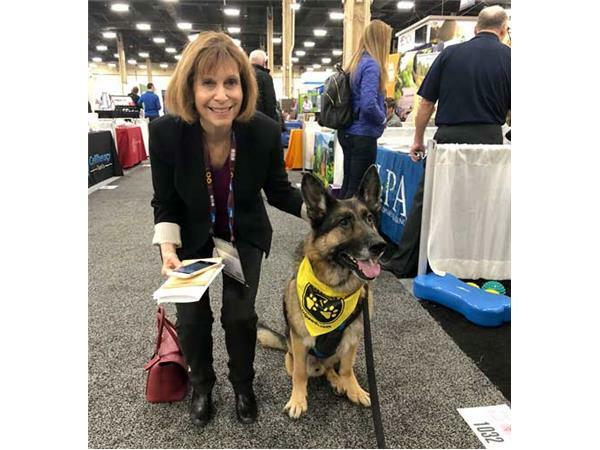 As an animal advocate and freelance writer for over a decade, she started the website when her dog Sophie was stricken with a progressive paralysis that took away her ability to run, walk and later stand or even sit on her own. 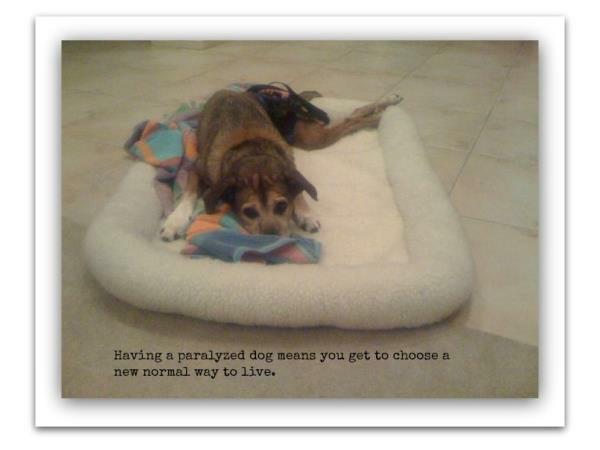 For the next five years she bravely learned to enjoy a new way of life and her family learned how to adjust and live a "new normal" with a dog who had limited mobility. 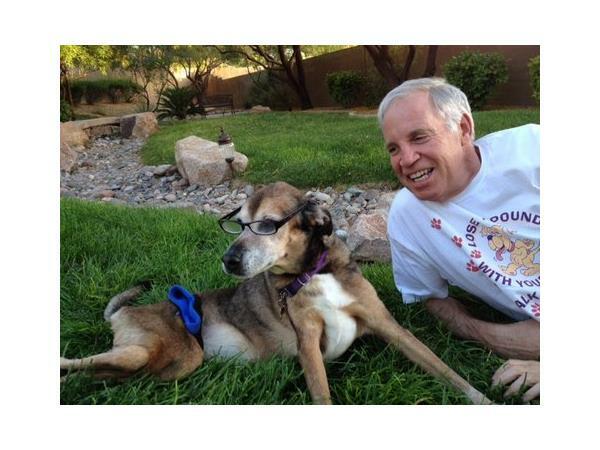 Many of the tips discussed should prove helpful for pet parents helping amputee dogs and cats love life on three legs, especially with giant breed dogs or during the early days of recovery. Find more help, resources, and support at Tripawds.